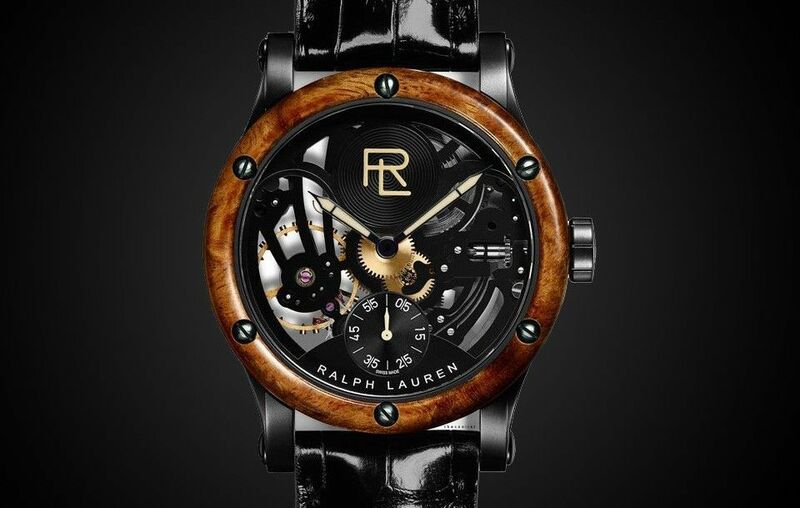 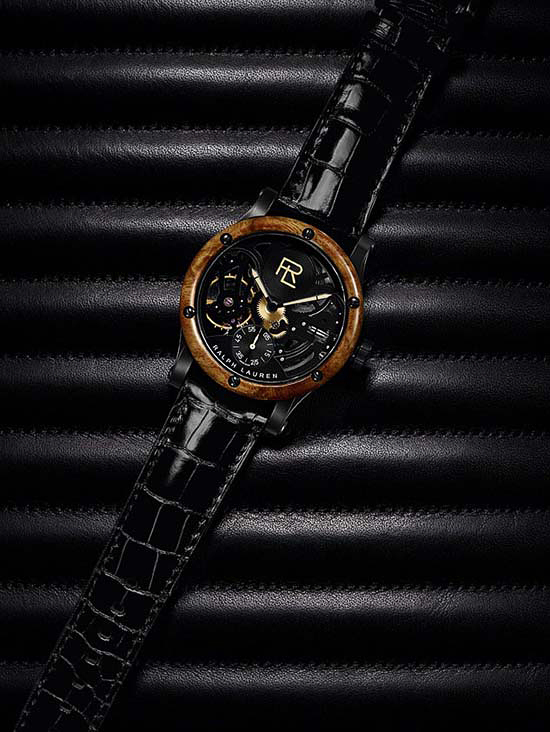 Inspired by his award-winning 1938 Bugatti Type 57SC Atlantic Coupe, the Ralph Lauren Skeleton Automotive Watch blends the designer’s love of classic automobiles with horology. 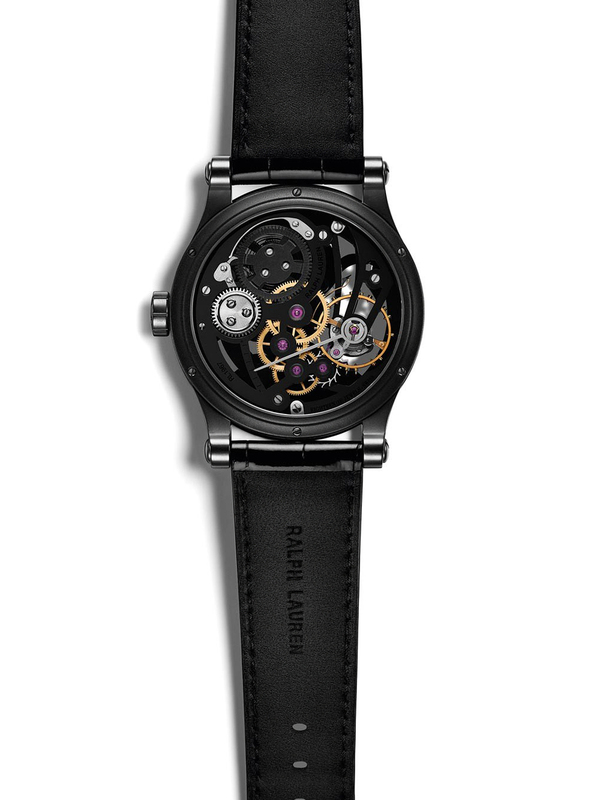 Like a car with its hood opened, the timepiece encourages you to view its inner workings thanks to the visible, manually wound RL1967 caliber movement. 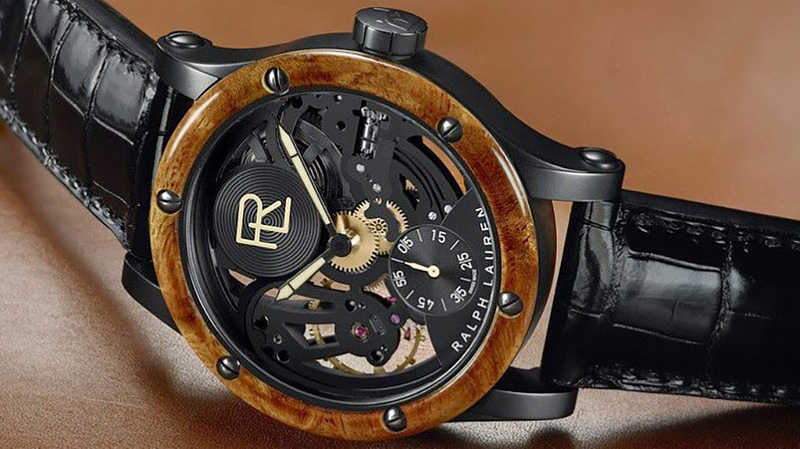 Complimenting the steel and brass gear elements are black oxidized hands, a large balance, a black shot-blasted stainless steel case, and a varnished bezel made from amboyna burl, a wood widely known for its use in car interiors. 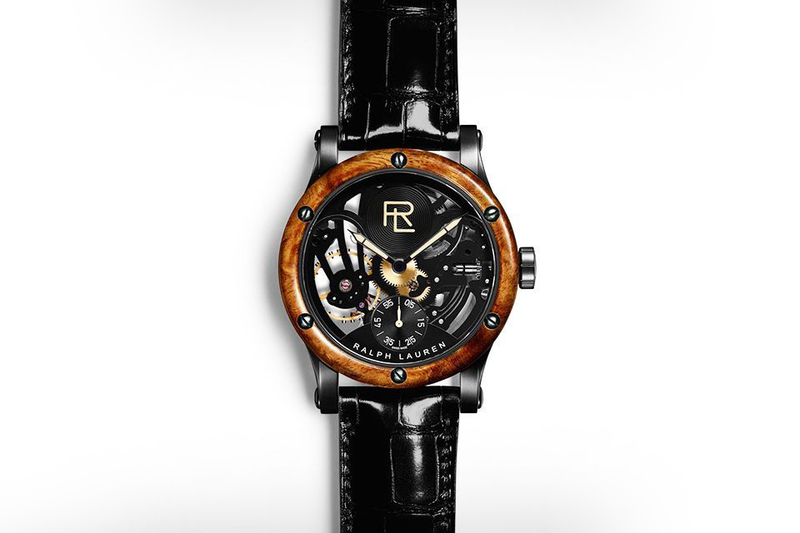 Price tag is $35,000. 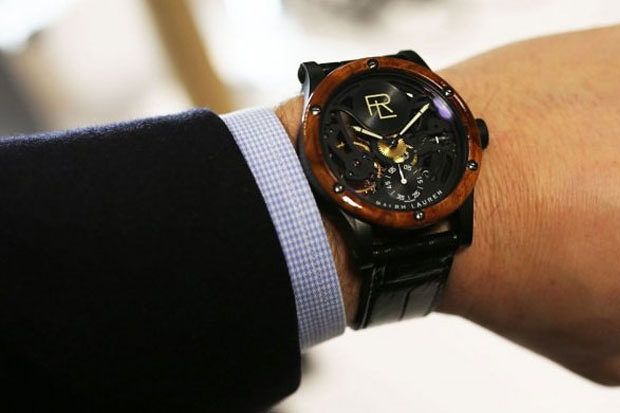 Also you should check more amazing watches: 50 Best All-Black Watches for Men.